The townhouse overlooking the community pool offers: 3 bedrooms, 2 bathrooms, large sunny terrace, A/C, kitchen and living room. 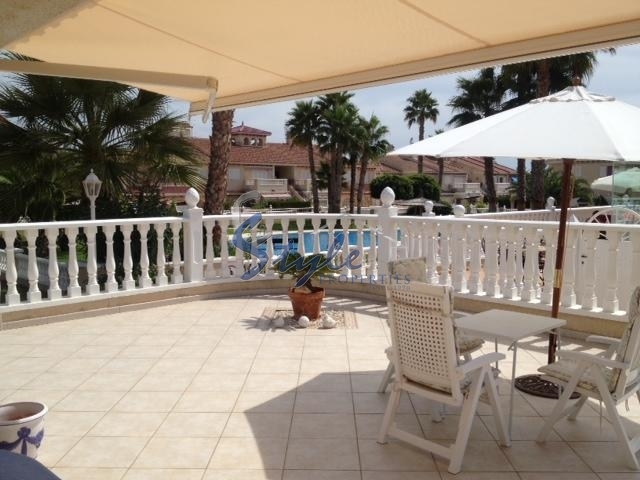 The property is located in a beautiful gated community with a swimming pool and green areas. Playa Flamenca is a small resort area in the South of the Costa Blanca, whose popularity is increasing every year. Nearby are the famous golf courses, yacht clubs, natural parks and much more. 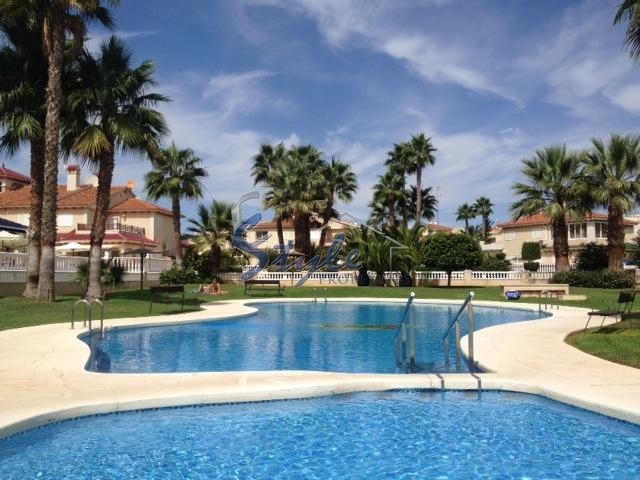 To the Centre of Torrevieja is just 10 minutes away by car, and the 35-40 minute drive from the international airports of Murcia (San Javier) and Alicante. 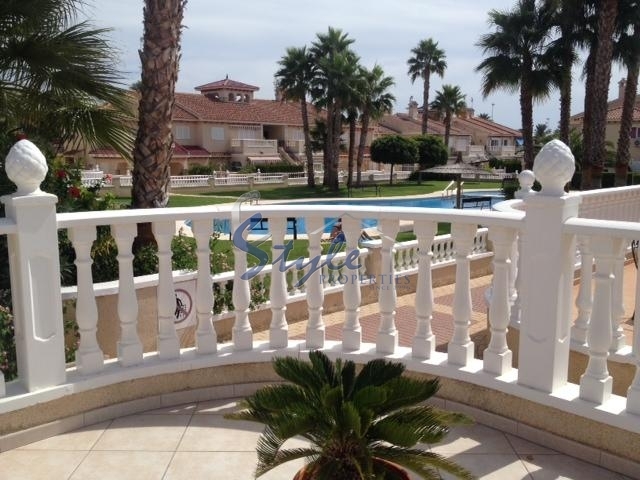 Gorgeous Mediterranean climate, warm sea (swimming season from May to October), great food and plenty of fun-what else could be better for spending your holidays in Spain! We have received your request regarding the property reference: 941. One of our agents will contact you as soon as possible.